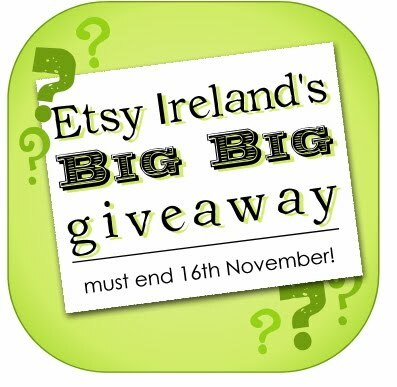 Etsy Ireland’s BIG BIG Giveaway!! The prize is essentially a mystery box -containing an assortment of handmade items made by various members of the Crafty Ireland team! All you have to do to enter is head over to the original post and leave a comment. The winner will be drawn on Monday, November 16th!